The global economy is SCREAMING that inflation is coming. By the way, 2011 was the year of the last inflationary shock. And by the look of things, 2018 is going to be the next one. 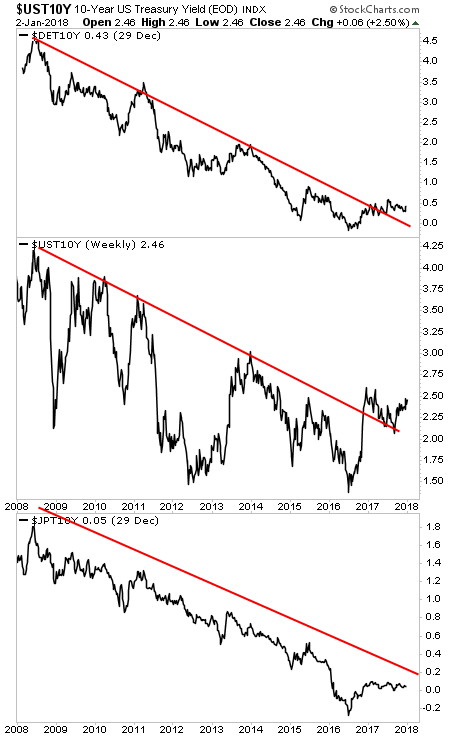 Already global bonds are selling off, with yields on German 10 Year Bunds, 10-Year US Treasuries, and 10-Year Japanese Government Bonds breaking out of historic downtrends. Put simply, starting in June of 2017, the markets began to adjust to the fact that BIG inflation was on the rise. 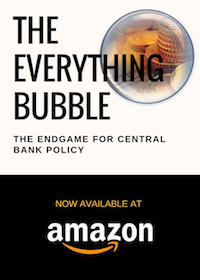 And when the Everything Bubble bursts, the Fed will be forced to engage in truly EXTREME monetary policy as it attempts to RE-flate this bubble in bonds. 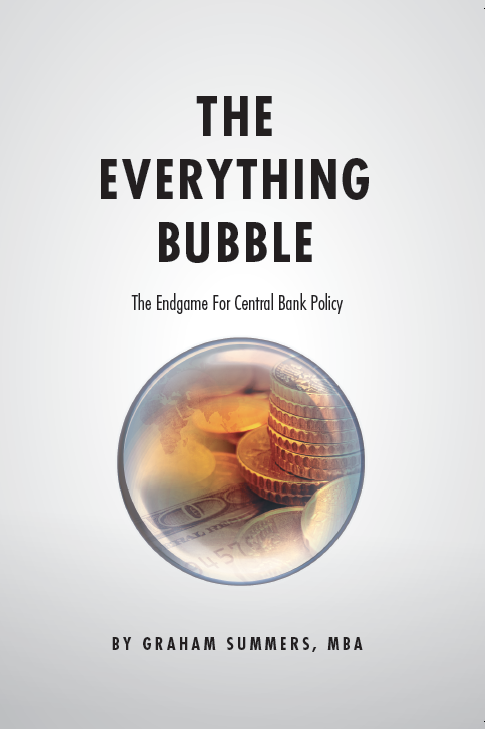 What’s coming will take time for this to unfold, but as I recently told clients, we’re currently in “late 2007” for the coming crisis. The time to prepare for this is NOW before the carnage hits. Who Are You Going to Trust, the Fed or $76 Trillion in”Smart Money”? Merkel’s Back is Against the Wall… Time for Germany’s “Plan B”?